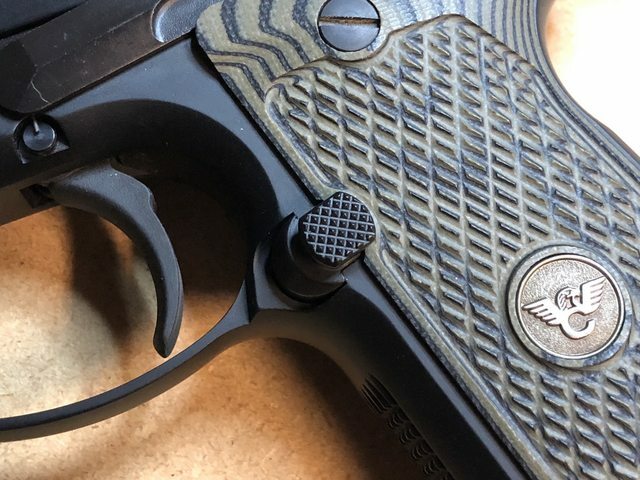 SIGforum.com Main Page SIG Pistols Beretta 92FS lovers... 92FS Compact no rail available for <$450. Extended mag release, G converted, 14lb main, and LTT thin grips on order. Did you ever figure out if there was an issue with the LTT grips and extended mag release? LTT never got back to me, but someone here said they had the same issue and just filed the LTT Compact grips to work with it. I haven't yet, since I found the Centurion, I just put the mag release on it instead, with a regular steel button in the Compact. Good deal. I have a set of LTT grips on the way, so we’ll find out soon enough. Rhino add another sale to your list. Been thinking about it since your first post back in Feb. and finally talked myself into it. Ordered it about 20 minutes ago. This thread has cost me a compact and a 92a1 so far and will likely add an inox compact to the total. 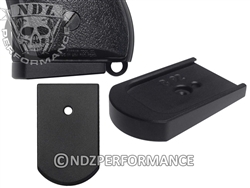 Has anyone tried these aftermarket magazine base plates? Yes, they make quality stuff. Those Beretta base pads also work on CZ compacts. I didn't buy a compact, but this and another thread sent me on a search for a Centurion, which I found last week. It is nice. Thanks Rhino. 2019 was supposed to be my year of selling, not buying. Ordered and hopefully here soon! 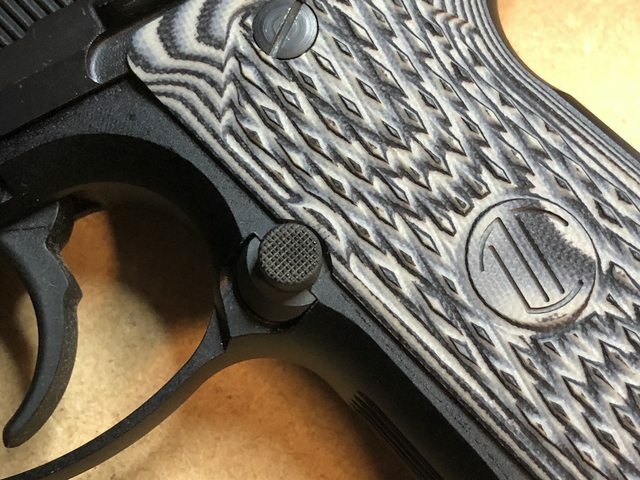 What are the kydex companies making IWB holsters for the Compact? picked one up after seeing this thread. Looking at an LTT with 13#, steel trigger, threaded barrel, and extended base plate, wilson lanyard loop replacement. one question, what the hell is the blue plastic circle dohicky in the case for? People have been asking about that blue plastic thing for ages. Best answer is it keeps the box from being crushed during shipping. It makes a dandy roll pin holder/punch base too. Traded into a Wilson Beretta Centurion Tactical today. I'm still jonesing for a WC Beretta. Irrational, but still. You want what you want. I’ve got the brig tac, Langdon LTT and cent tac now. All are amazing. Maybe the fact I already owns a SS compact 92 helps. Never been a huge 92 fan, but me and my son both shoot this one as well as any full size pistol I have owned. That's a pretty good sample size too, not unusual with this crowd! Gray LTT grips came in yesterday. It's amazing how the WC and LTT thin grips completely change this pistol line for the better. I did run into an issue with the extended mag release. I really didn't feel like messing around with the grips, so I swapped it out with the WC "extended checkered steel magazine release" that I had on my M9A1. (And I actually prefer that set-up as it mimics the mag release on my carry CenTac." After the swap out pics. I will say the tolerances of the grips are tight. You have to pay attention on the right side alignment. If it's a little off, the back side of the mag release will hit the grip. However, once the grips are on and tightened down, it's not a problem. Are the Compact LTT grips the same contour/thickness as the Wilson ultra thins or standard? From what I recall, the LTT Ultra Thins and WC Ultra thins are technically the same size. However, the stippling of the LTT grips makes them feel just slightly thinner. trigger in a bag, steel trigger, extended mag release, thin grips. Next I need a threaded barrel. 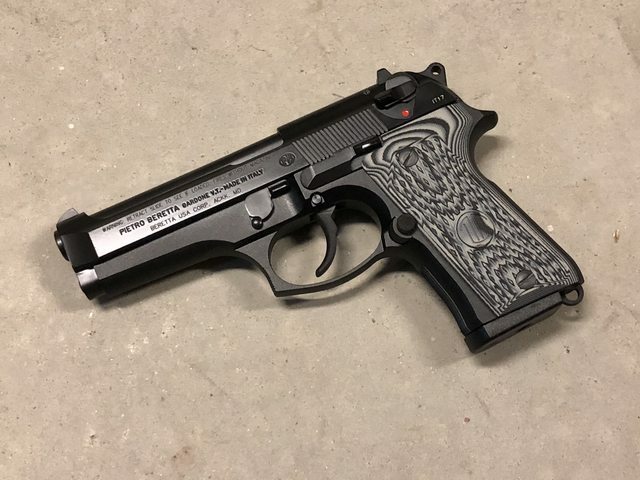 Quick Reply to: Beretta 92FS lovers... 92FS Compact no rail available for <$450.